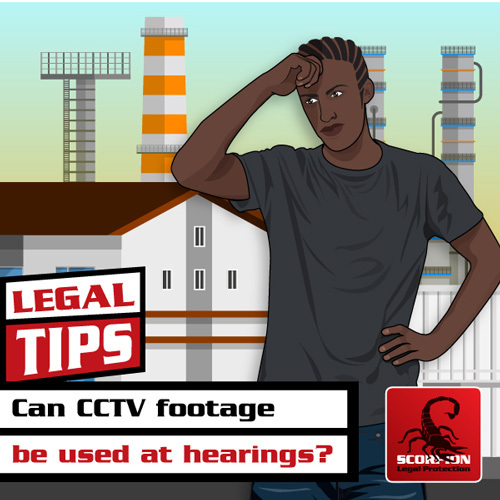 Can CCTV footage be used at hearings? Siyabonga’s employer accused him of stealing, and claims he has CCTV footage of the event. Can CCTV footage be used at the CCMA? 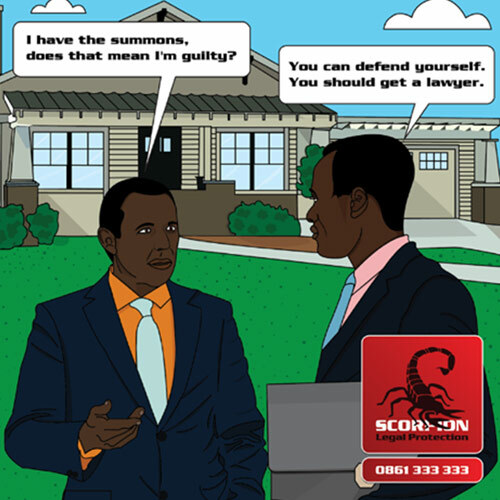 Scorpion Legal Protection discusses the laws that apply. Mbongeni’s* company closes every year for 10 days over the December holiday period, and every year the staff take their annual leave over this same period. 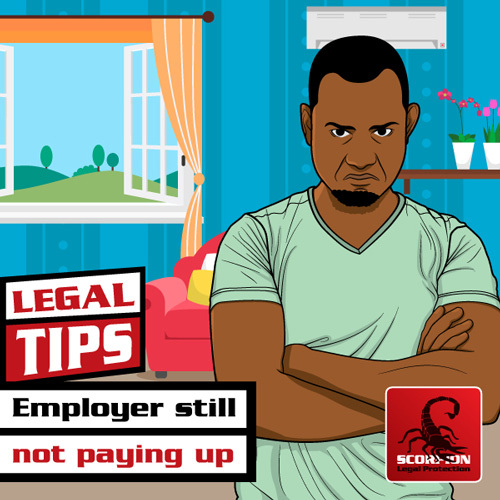 This year, Mbongeni wants to take his annual leave over the Easter holidays, but his employer says he can’t. Can his employer do this? What are Mbongeni’s rights? 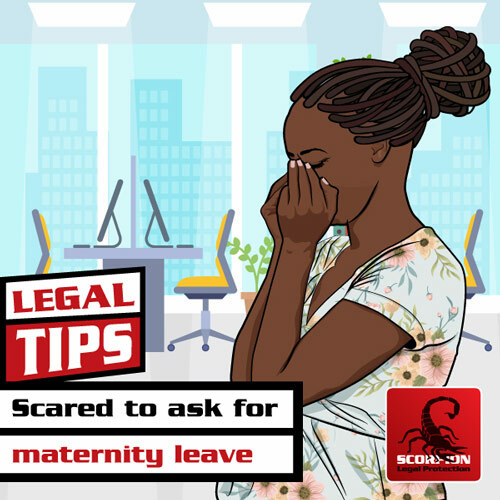 Scared to ask for maternity leave? Ntshadi* knew she was pregnant a week before she went for a job interview. Seven months later at her new job, she tells her employer that she will need to go on maternity leave soon and he freaks out. What if he fires her because she didn’t tell him she was pregnant? Or gets someone else in her place and tells her not to come back? 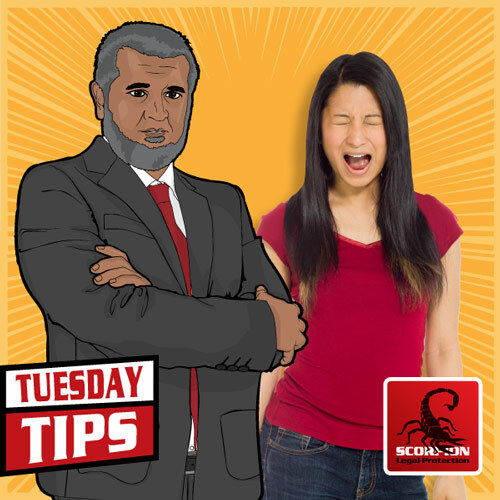 Scorpion discusses why that would be a very bad idea for her boss and how the law protects her. Andile* was struggling to find a place he could afford. 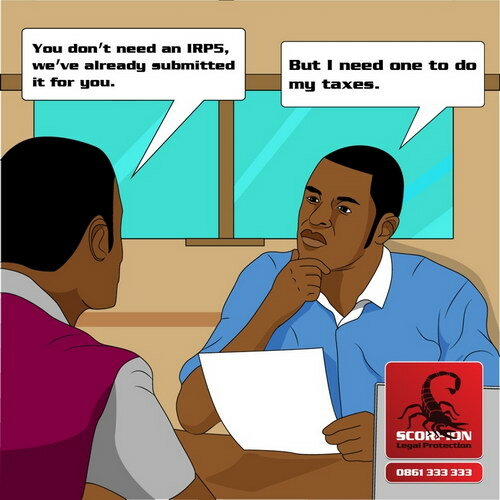 He’d heard about a guy who could get you onto the waiting list for an RDP house and then bumped up on that list too. It sounded like a wish come true! But aren’t RDP houses run by the government for the poor? 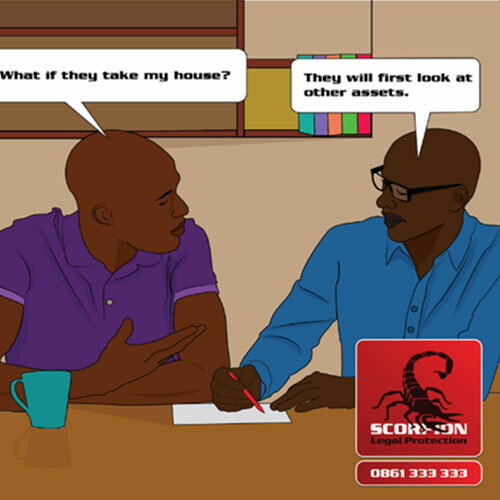 Scorpion discusses how RDP houses work and why these ‘get a house quick’ schemes are illegal. Damion left his previous company on bad terms. 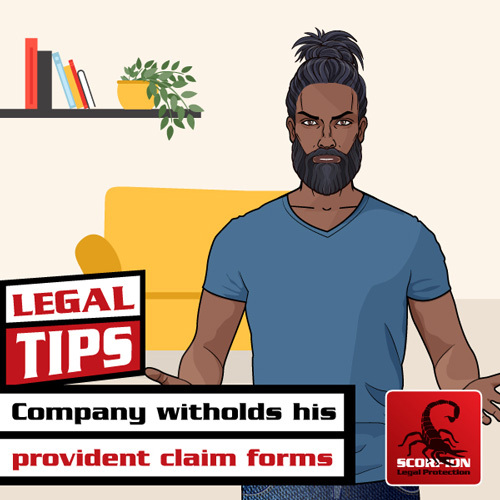 To ‘get back’ at him, the company refused to give him a copy of the provident fund withdrawal notification form, which means Damion can’t get hold of his provident fund. AZIKHIPHI! That’s not on! 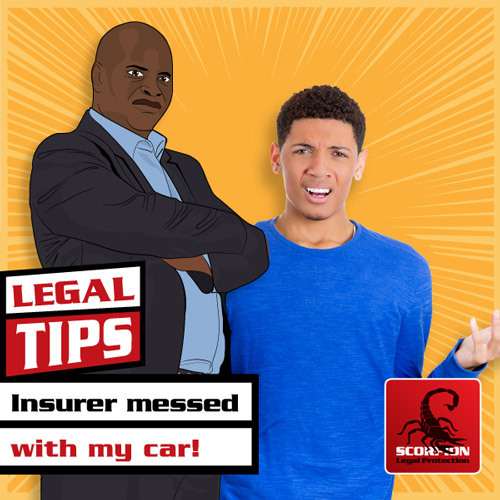 Scorpion Legal Protection discusses what he can do. 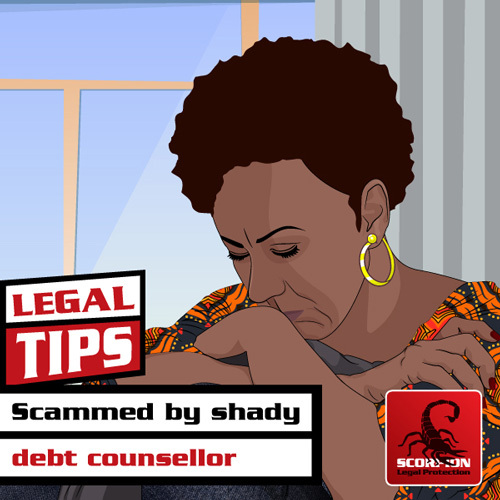 Amanda’s debt counsellor has been doing shady things like charging her “collection commission” and not responding to her creditors. As a result, one of her creditors came to repossess her car. Now she has to pay to take the taxi to work every day, and she is already struggling with her money! AZIKHIPHI! That’s not on! 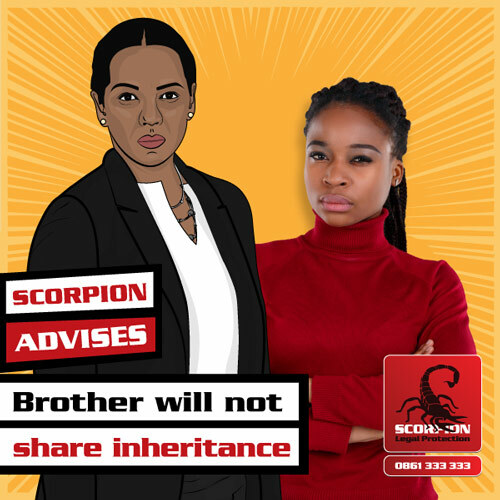 Scorpion Legal Protection discusses what she can do. 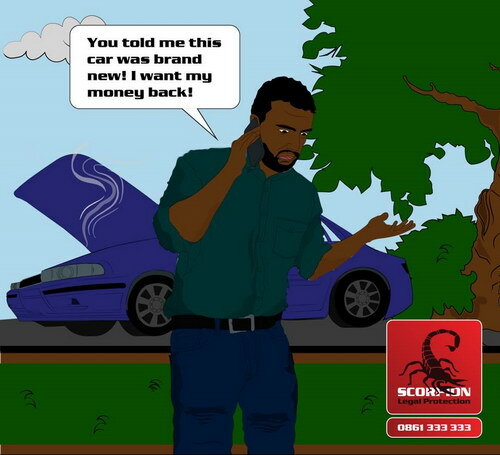 When Kabelo’s car was stolen, he expected the police to investigate the case as soon as possible. But two months later, it appears that they still haven’t done anything and now he wants to know if there’s anything he can do about it. 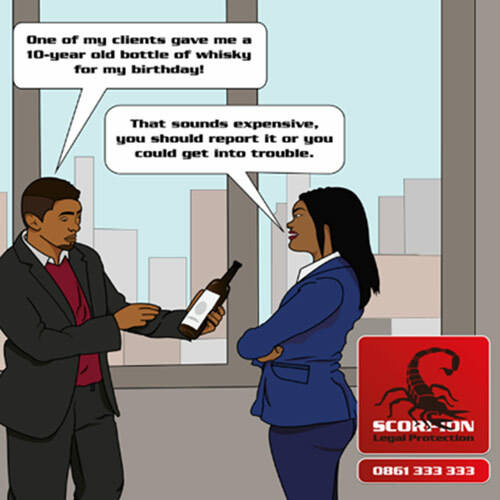 Scorpion Legal Protection discusses. Hospital mistreated her: can she sue? Mama Sihle says she experienced terrible mistreatment 7 years ago at the hands of the hospital where she had her child. 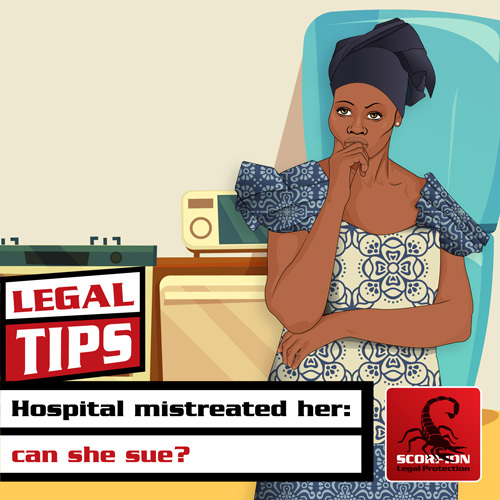 The incident has left her traumatised for life, and because of this she wants to know if she can open a case against the hospital. 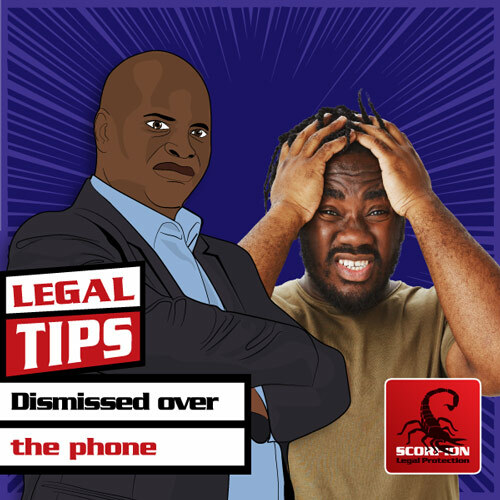 Scorpion Legal Protection discusses. 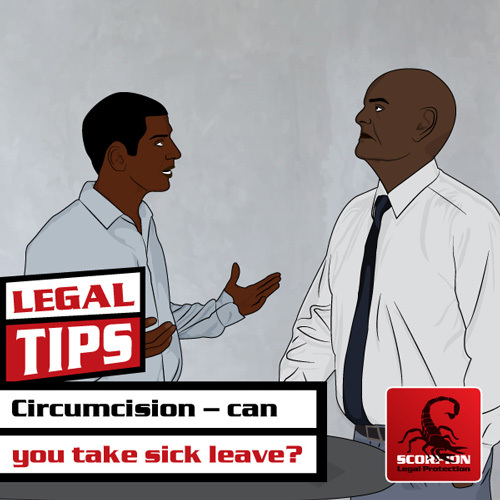 Circumcision - can you take sick leave? Sakhumzi* went for circumcision, and was booked off from work for three days after to heal. When he got back to work, his boss said he would not pay him for those three days because it was a “personal problem” and not a medical one – even though he submitted a doctor’s note. Is his employer right? Malusi* was called in by his employer for poor work performance. His employer decided that since he was not performing well, he would put him on short time. AZIKHIPHI! That’s not on! 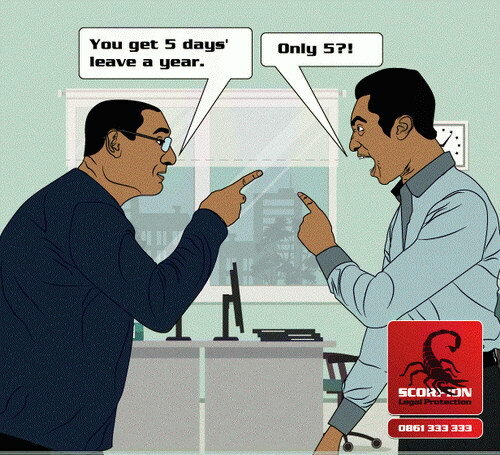 Short time is not something employers can use as a disciplinary measure! 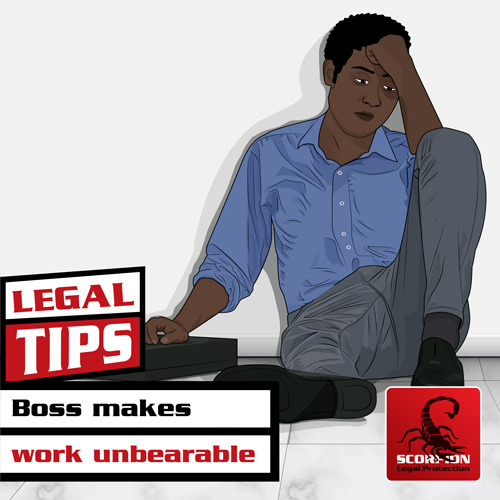 When Kopano spoke up against the unfair treatment his boss gave his co-workers, his boss started treating him badly to – to the point where Kopano felt all he could do was resign to get away from him. AZIKHIPHI! That’s not on! This is called constructive dismissal, and while it can be difficult to prove, it’s not impossible. 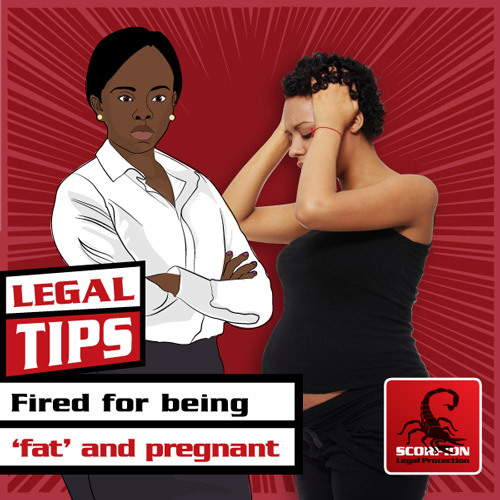 How do you know if you have a case of unfair dismissal? 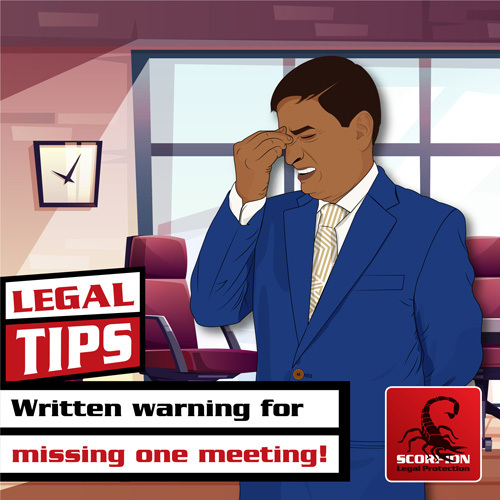 Warning for missing one meeting! Mohamed missed one meeting and got a written warning from his employer. AZIKHIPHI! That’s not on! Employers can’t just dish out warnings without following procedure. 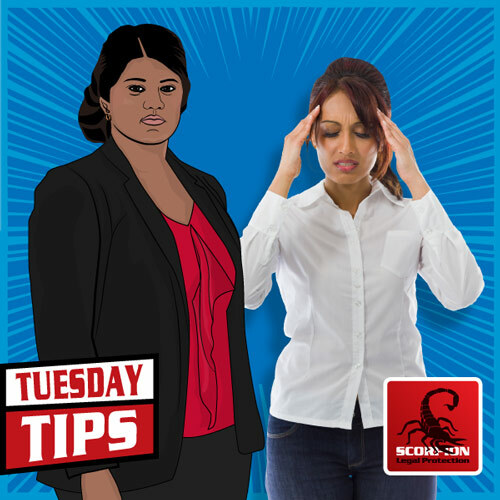 Find out more about warnings in the workplace, when they’re fair and what to do if you don’t agree with a warning. 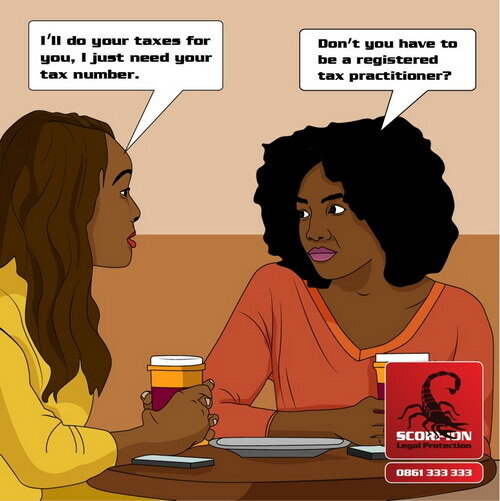 Ayanda’s employer is deducting things from her salary, but these deductions aren’t on her payslip, and she thinks he might be taking money from her unnecessarily. When she asks him, he tells her to “stop being clever” and the deductions continue to go off every month. Can he do this? 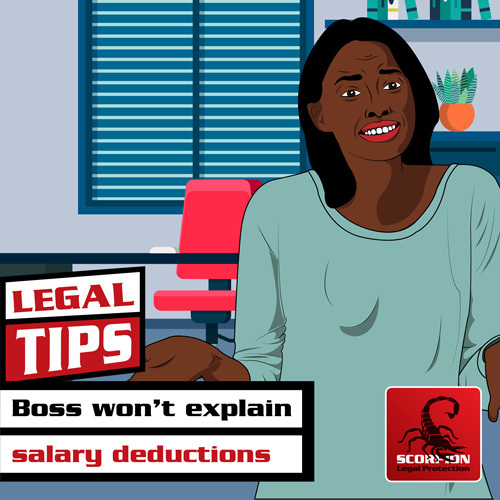 Scorpion Legal Protection discusses the law when it comes to salary deductions. When Mr Mqhamzana* passed away, he left a will detailing how his assets were to be distributed among his children. 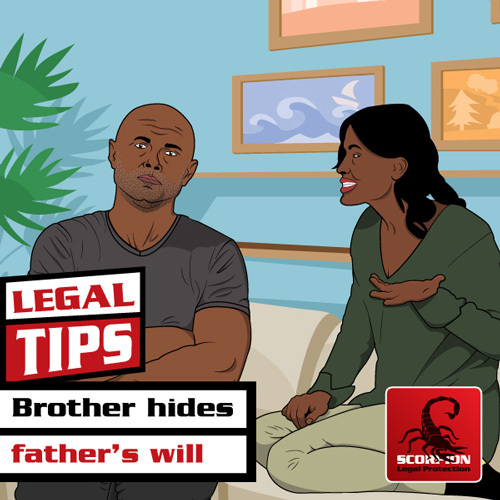 Nomvula’s* brother is in possession of the will, but refuses to show it to her or provide her with it so that she can claim what her father left to her. What can she do? 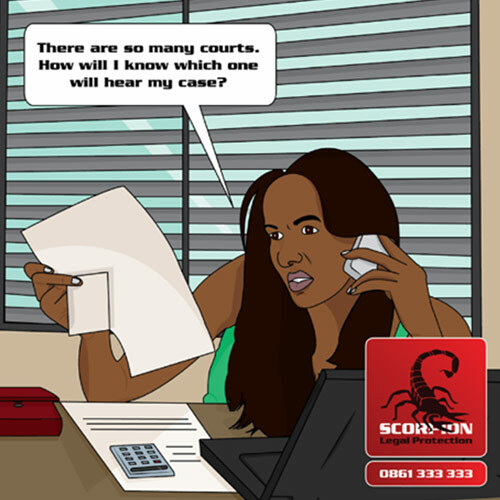 Scorpion Legal Protection discusses estates and what you can do if you find yourself in a similar situation. Nkibelo* is a salesperson at a big company. Lately, he hasn’t been feeling too well. He’s been working extra hard to make his targets, and then one day while he was visiting a client, he fainted. They took him to hospital, and he was diagnosed with extremely low blood pressure. 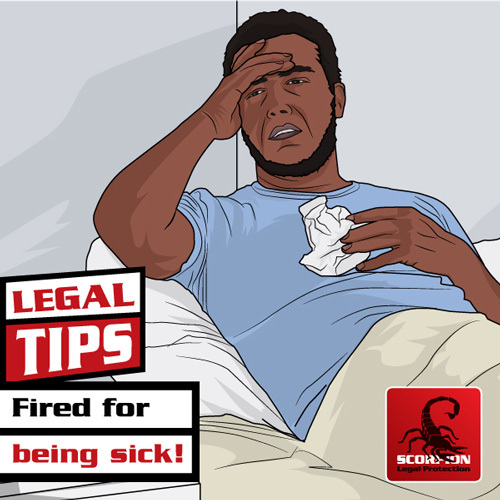 The doctor booked him off work for a week to recover, but on day three, Nkibelo’s boss called him to tell him he’s fired. When Daniel won his case at the CCMA, he was relieved. Finally he would get paid out. The court ordered his employer to pay him out R18 900, but it’s months later and it seems like his former employer is just ignoring the court order! How can he force his employer to pay up? 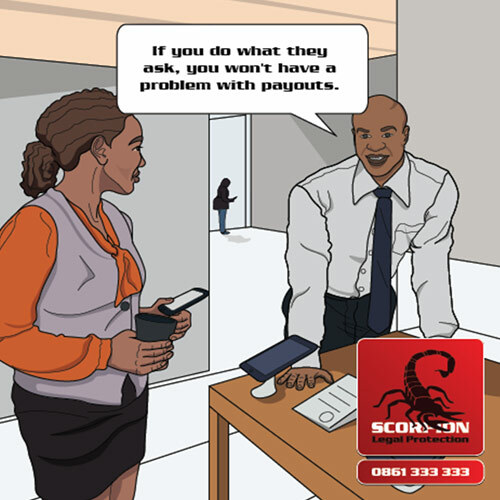 Scorpion Legal Protection answers this question. 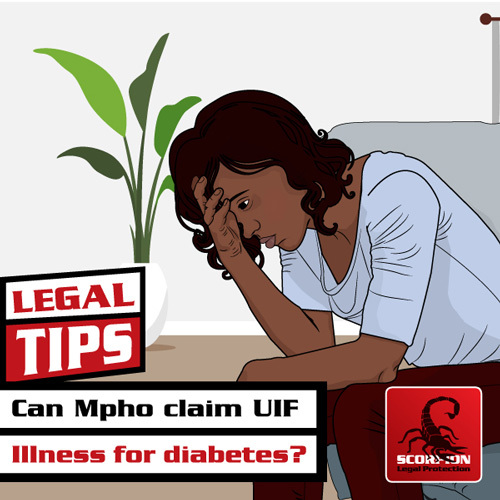 Can Mpho claim UIF illness benefits for diabetes? 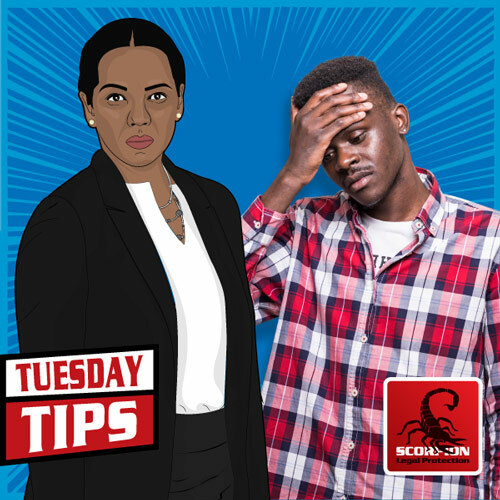 Mpho didn’t know she had diabetes, and became very ill. She had no more sick leave left, so when she had to take off work for health problems, her employer did not pay her a salary. 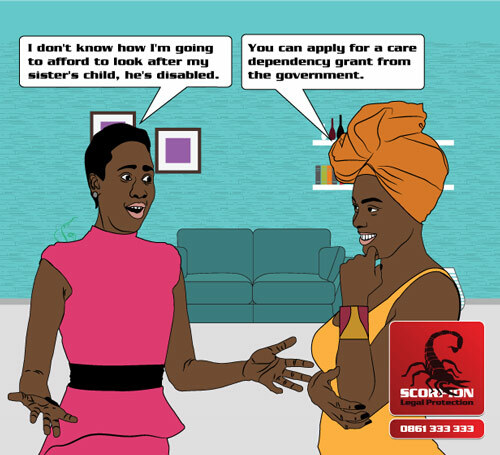 She wants to claim from UIF, but her boss told her that it’s only for ‘serious’ diseases like cancer or AIDS. AZIKHIPHI! That’s not true. 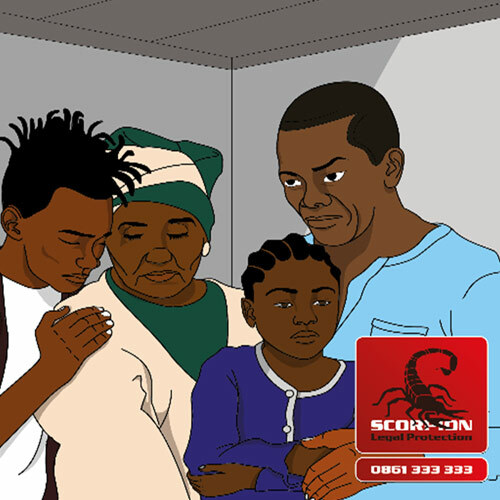 Scorpion Legal Protection discusses how to claim UIF illness benefits. How does family responsibility leave work? 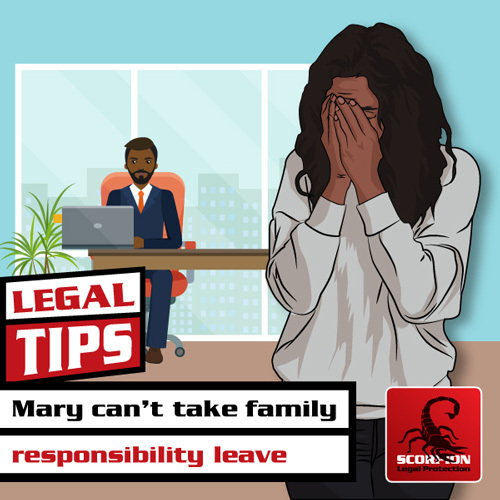 Mary wanted to take family responsibility leave to grieve the passing of a family member, but her employer refused to approve it until he knew which family member it was for. Mary didn’t understand why this was necessary, family is family and this is her family responsibility leave to use or not use. 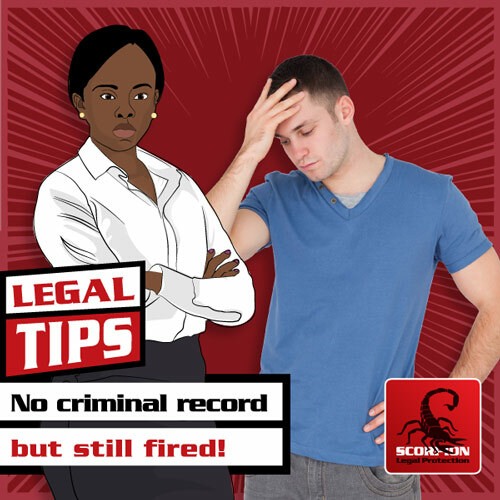 Scorpion Legal Protection discusses family responsibility leave, how it works and why her boss would ask her about it. Can my boss force me to work on Christmas? 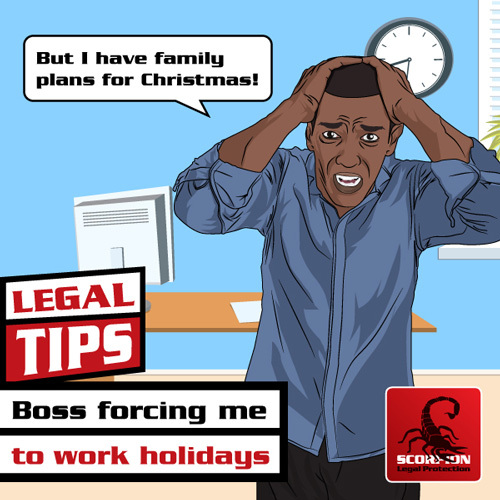 Mpitse’s* boss says he has to work on Christmas, but he’s already made plans with his family. AZIKHIPHI! That’s not on! 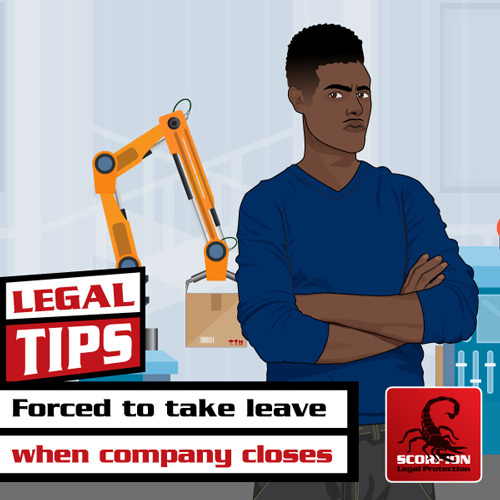 When can employers force you to work, and how does annual leave work when it comes to the holiday season? Tito was so excited when he bought his family a new home theatre system for the holidays. But just two weeks later, his speakers were no longer working. AZIKHIPHI! That’s not on! 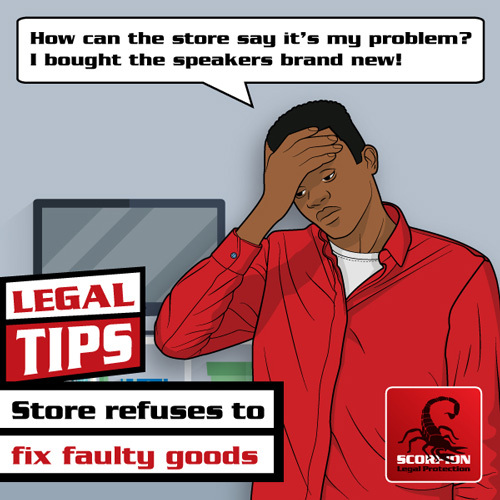 He paid good, hard-earned cash for his goods from a reputable store; they must take responsibility and fix it! What legal recourse does Tito have? 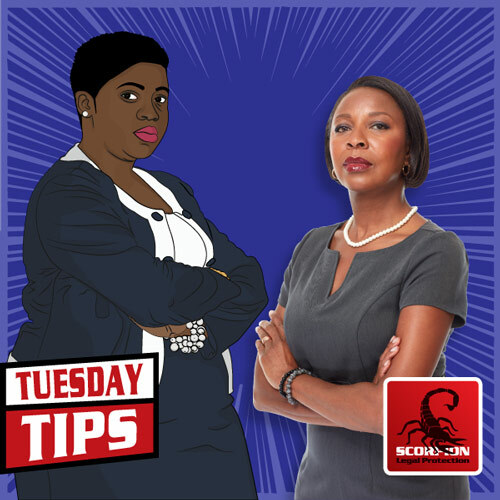 When Thulani had a car accident in the company car, his boss fired him on the spot and didn’t pay him his salary. 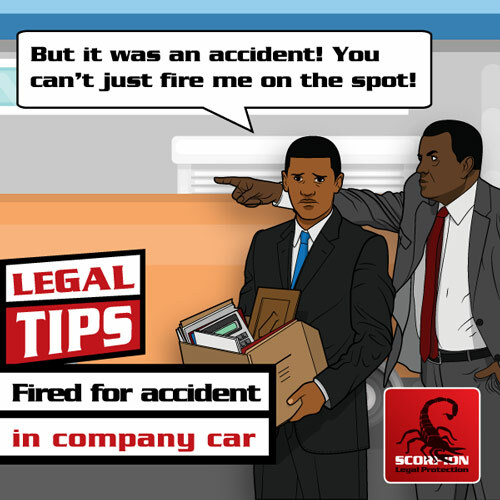 A car accident is serious, but surely an employer can’t just fire an employee? 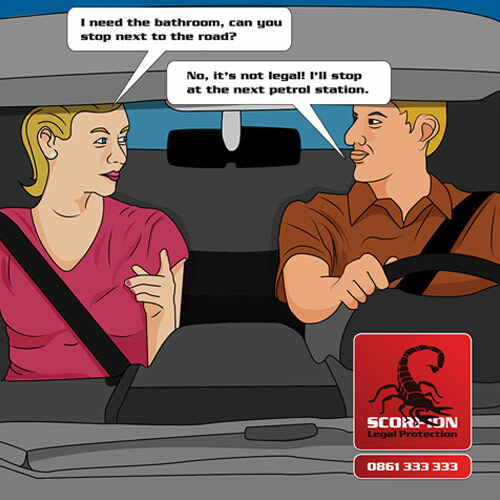 Scorpion Legal Protection answers this question. When Prince bought a bakkie, he agreed on a price with the second-hand car dealership. 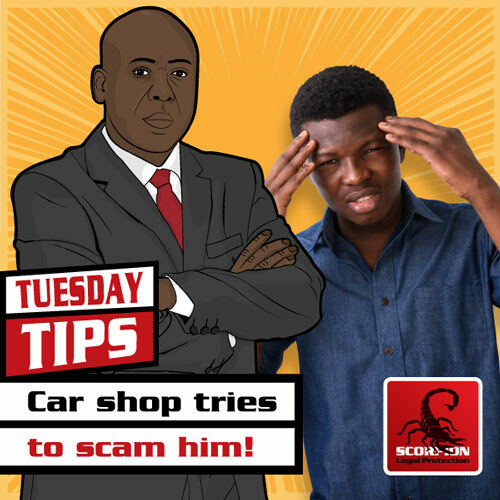 But when he went to fetch his car, the dealers said he needed to pay separately for extras on the car – but they were already part of the car! 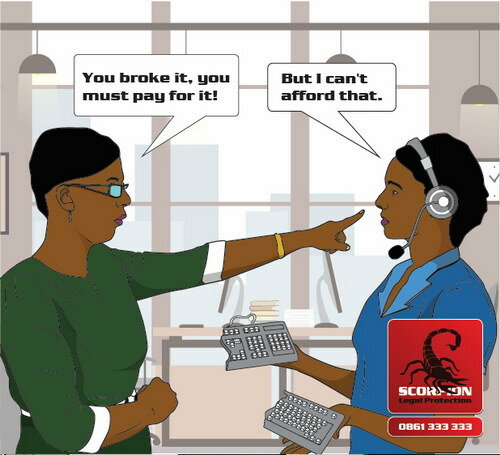 When Lungi’s aunt asked her to buy a few things for her on Lungi’s store account, she didn’t think twice – umdeni wakho awukhethi. 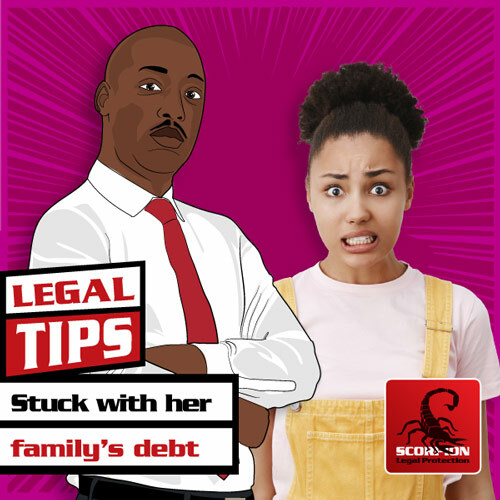 But her aunt has failed to make payment on the debt, and now the debt collectors are after Lungi! What can she do? 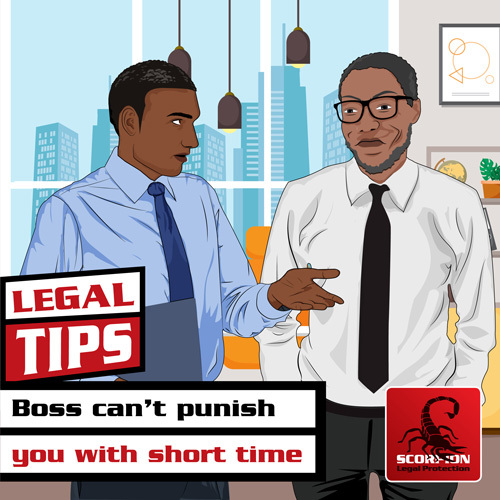 Sentso’s boss called him one day out of the blue to tell him the company was having financial difficulties, and he should not report to work until further notice. AZIKHIPHI! That’s not on! Pearl loves shopping, but got into trouble when she failed to pay her accounts. She owed R1 500. 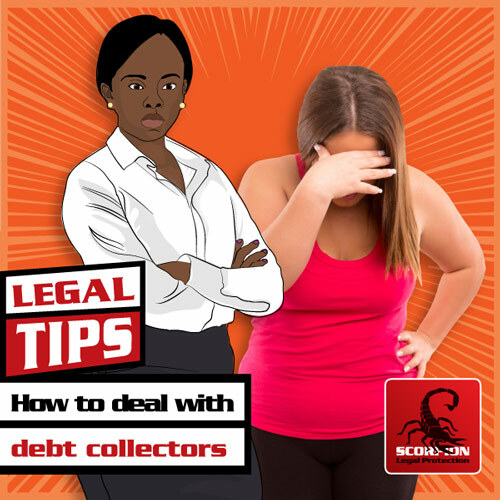 Debt collectors have been debiting money from her account for this debt since 2005 – which means she has paid back far more than what she owed. Ayanda* was worried when she was involved in a car accident recently. Luckily no one got hurt, but her car was damaged. The accident wasn’t her fault – the other driver didn’t brake in time and rode into the back of her car. 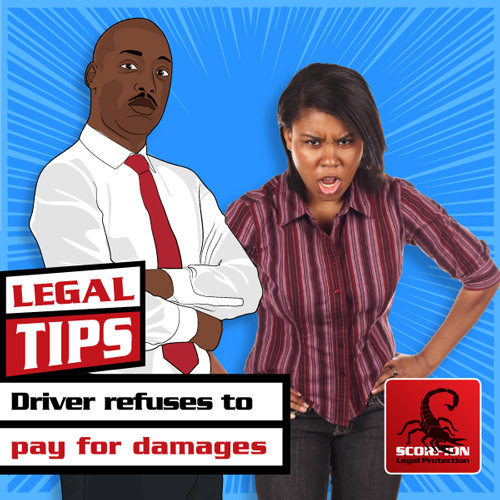 He admitted the accident was his fault, and said he would pay to have Ayanda’s car fixed. Don't talk on your phone while driving! Beware of scams and phishing. 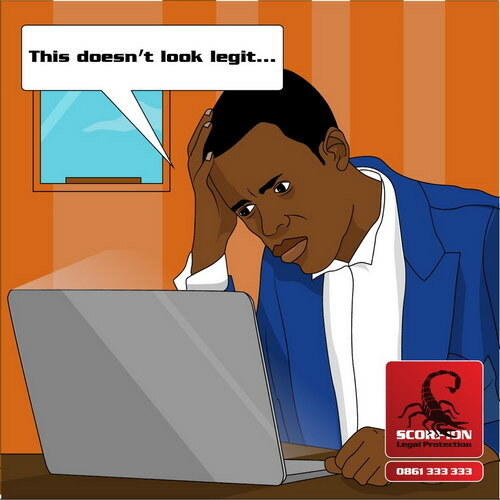 There is a steady increase in email scams and phishing attacks using the SARS brand. Members of the public are randomly emailed with false “spoofed” emails made to look as if these emails were sent from SARS but are in fact fraudulent emails aimed at luring unsuspecting taxpayers to disclose information such as bank account details. When Ruth bought a flat, she expected the place to look the way it did when she first went to view it. But when she got there to move in, someone had broken the door handle off and removed things, leaving the flat in a terrible condition. 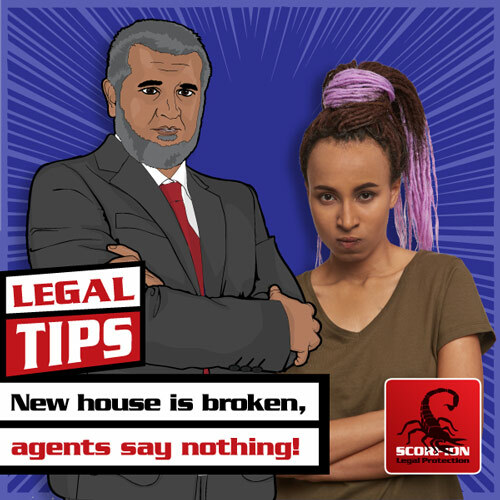 Legally the house belongs to her now and is her responsibility, but shouldn’t the agents have kept the property safe? 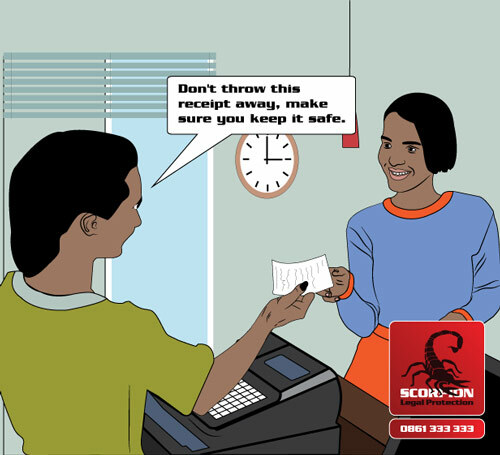 Scorpion explains what the law says on situations like these and what you can do. When Mpondo’s father passed on, his father’s second wife threatened to evict them from his RDP house if they didn’t move out. She said it belonged to her, and they needed to get out or else… Can she do this? 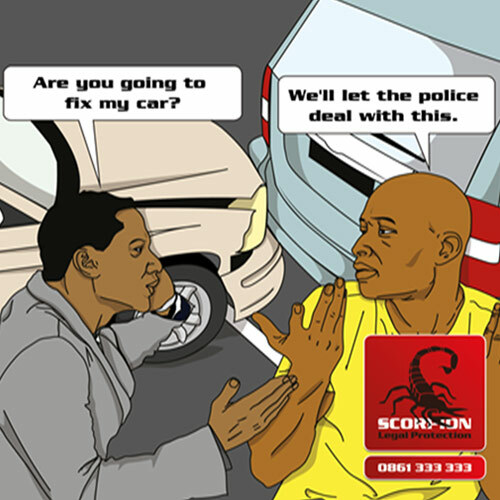 Scorpion explains what you can do in this kind of situation. 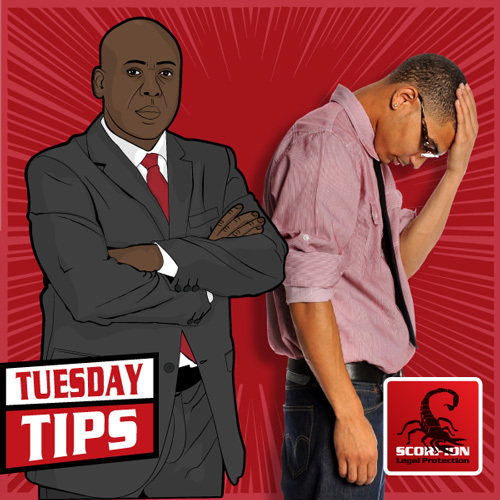 Even though his criminal record was cleared, Jayden’s boss fired him when he found out that he had a criminal record. Can he do this? 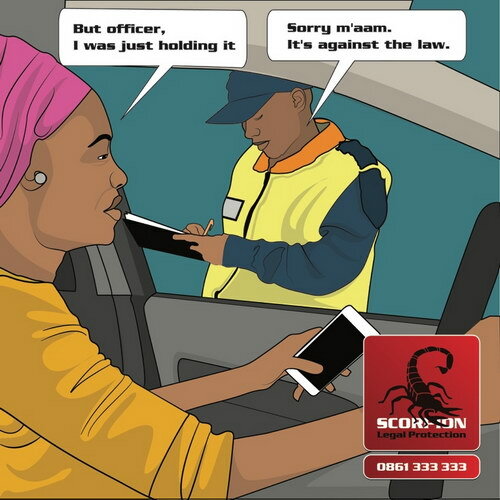 Scorpion explains the law on clearing your criminal record and what you can do if you find yourself in this kind of situation. TK* and his friend Oarebile* recently got a CCMA award in their favour for a case they lodged against their employer. 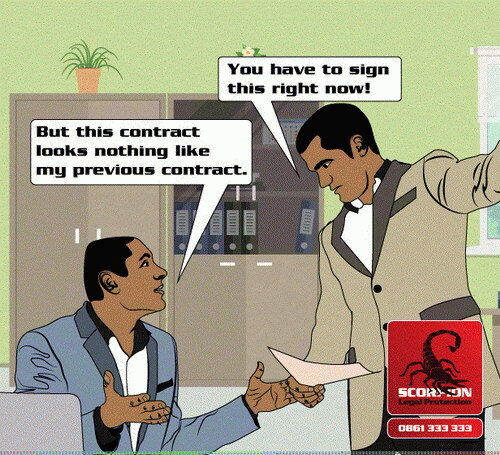 They had been working at the company on a three-year contract when the company decided to terminate their contracts. They were not given notice of termination. 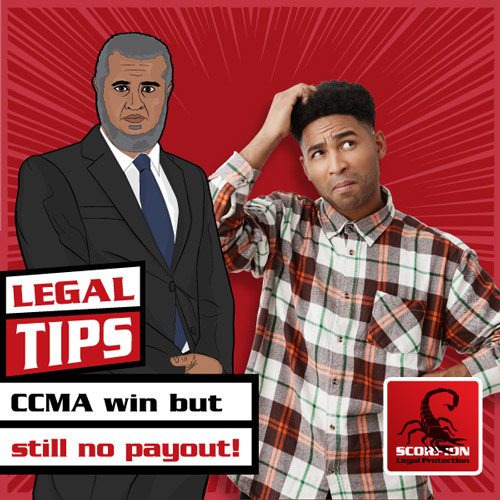 The CCMA found the company guilty and an award was given in their favour, but the company refuses to pay them. What now?! 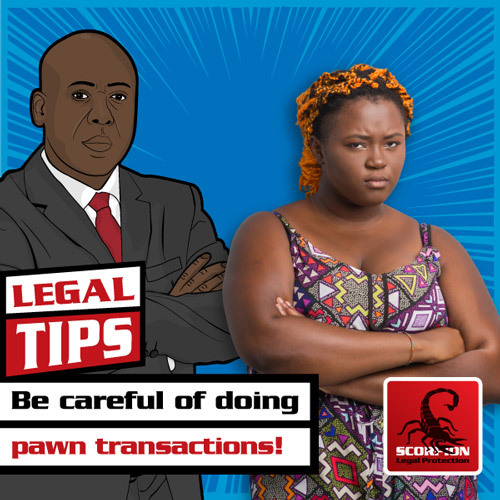 Masego* and her husband desperately needed cash to get through the month, and decided to loan money from a pawn shop. They borrowed R20 000, which they had to pay back with R6 000 interest. The interest was to be paid in full by 14 August 2018. If they could not pay back the money by the agreed time, the pawn shop could sell their car. Tshepo* has been looking for a house for her family, so when she found out about an auction and that there would be houses for sale for a very good price, she decided to buy. But when she arrived with all her stuff, ready to move in, she found another family already living there. What now?! Theola has been working as a receptionist for a small company for a couple of years. When she fell pregnant recently, she thought her boss and colleagues would be happy for her. But when she told her boss the news, he got mad and said he couldn’t have a big, fat pregnant woman receiving their customers. 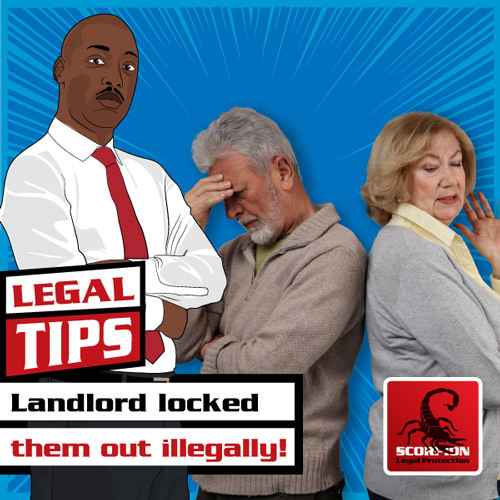 Landlord locked them out illegally! Phil and Eunice had been renting a small flat for a couple of years. Usually they had no problems paying the rent, and made sure things were always handled on time. 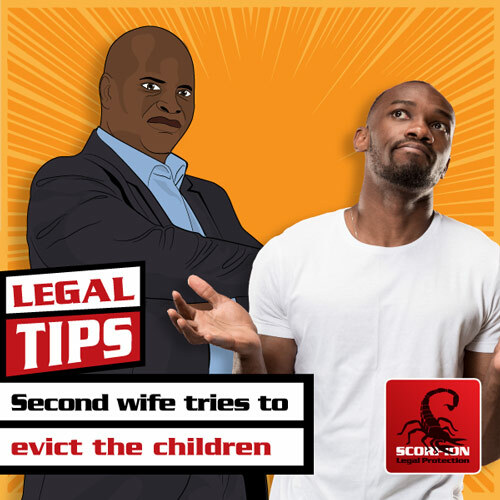 But last month, Phil was retrenched unexpectedly, and the couple had financial problems – without Phil’s salary they could barely afford food for the month, they knew they couldn’t afford to pay the rent. *Nokubonga’s father passed away in 2015, leaving behind his two wives and their children (one child from his first wife, and Nokubonga and her brother from his second wife). 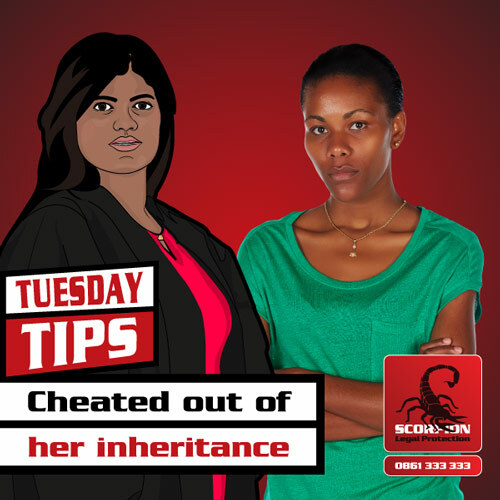 When they tried to sort out their father’s estate, Nokubonga’s father’s first wife said she would handle matters on her own, she didn’t want them involved. They never saw a cent of their father’s estate. Akira had an interview with a potential employer. They discussed many things, including the salary she would get. Her new employer called to tell her she had gotten the job, and asked her to start the following Monday – they would give her an employment contract to sign then. Elton works as a cashier at the local butchery. He’s never had any warnings or gotten into trouble at work. One morning, his boss stormed in yelling that someone had stolen some of the store’s meat. The next day, Elton was told that he had been fired. If a child does not receive the necessary care and protection from their parents or guardians such as basic nutrition, care, shelter, or healthcare, it is considered neglect. 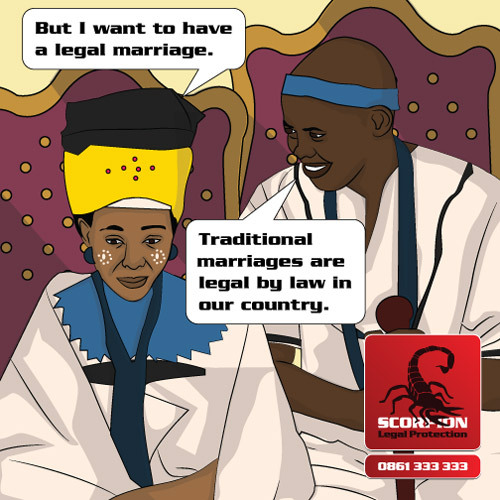 The Recognition of Customary Marriages Act (RCMA) 120 of 1998 legally recognises customary marriages as valid and legal. 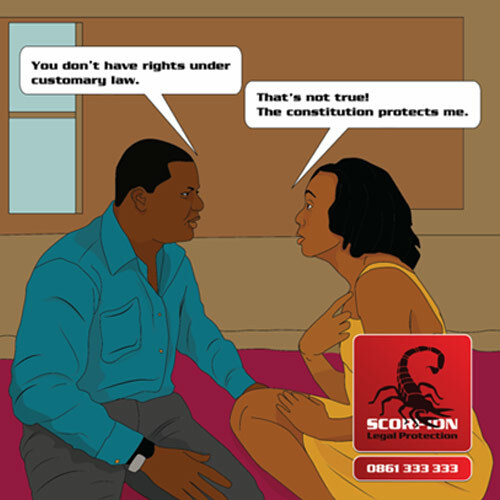 If you get married under customary law, the marriage is considered valid and legal in terms of the Recognition of Customary Marriages Act (RCMA). According to the Constitution, we must look at when customary law should be used to make sure that the application thereof is not discriminatory. If you are wrongfully arrested for peeing in public, you may have a civil claim against the Minister of Police. 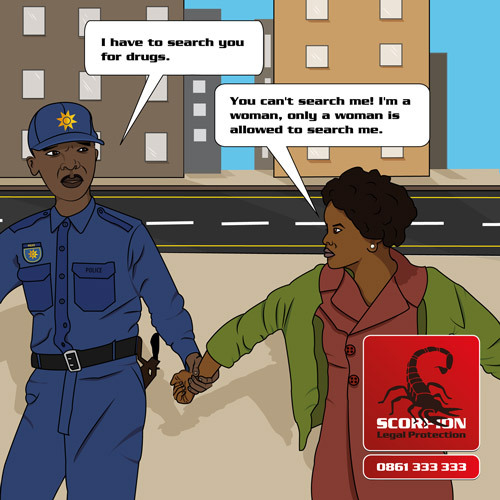 Section 29 of the Criminal Procedure Act, 51 of 1977, states that you can only be searched by an officer who is of the same gender as you. 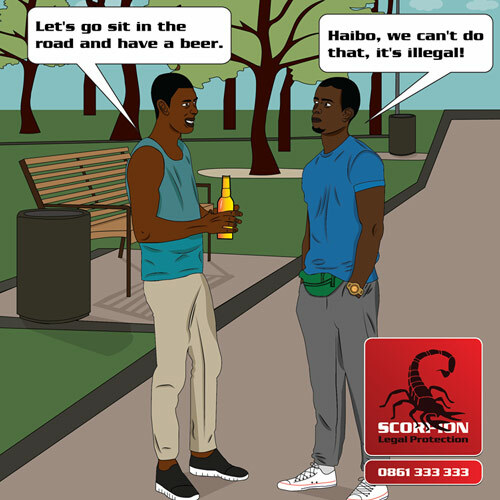 If you are caught drunk in, on, or near any road, street, lane, thoroughfare, square, park or market or any other public place. 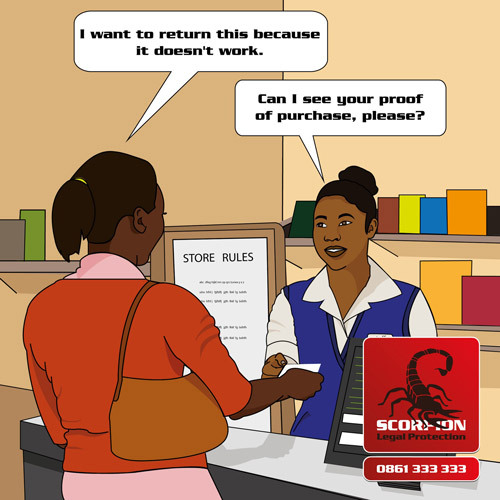 If you want to return an unwanted gift to the store, you need to ensure that your return is in line with the Consumer Protection Act (CPA). Receiving gifts from clients or suppliers is part of working with other people. To cover their employees and themselves, companies must adopt a policy on gifts. 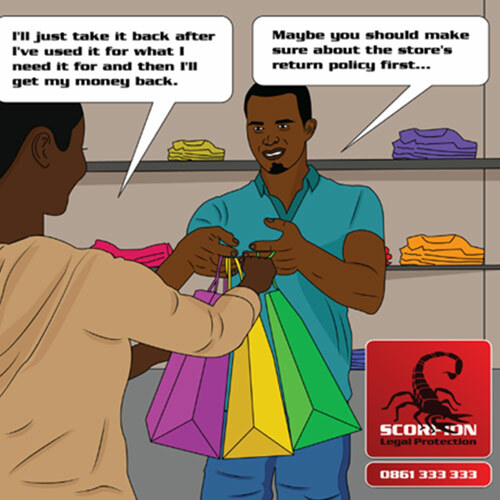 Before you return an unwanted gift, you need to find out what the store policy is. Check if they want the product in its original packaging, if they require proof of purchase and if they accept money-back returns or only exchanges. 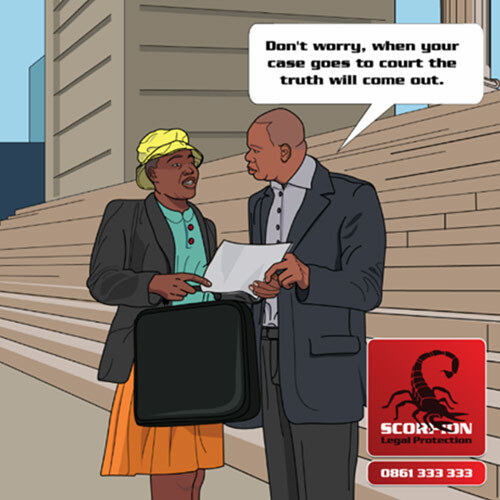 If you are accused of a crime, whether you are guilty or not, you have the right to a fair trial. That's the law. 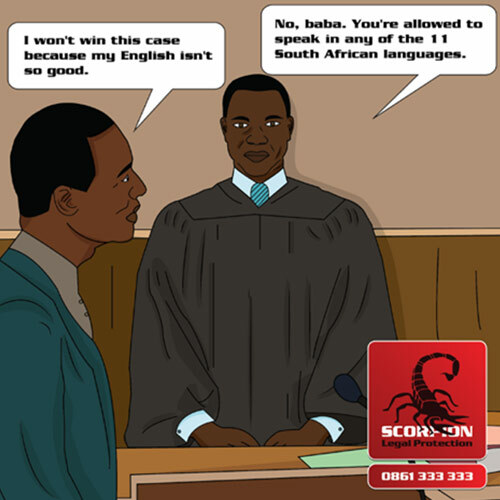 You can present your case in any of the 11 official South African languages at the Small Claims Court. 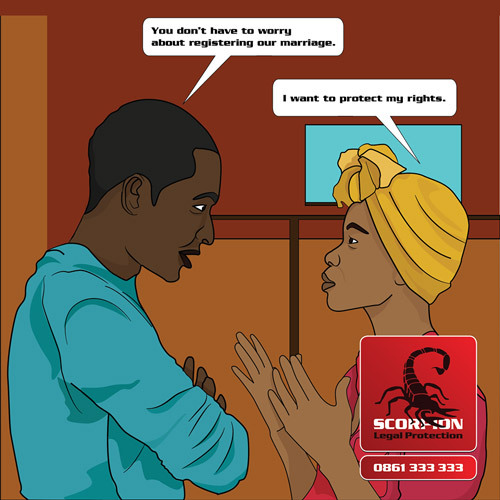 #StaySmart know your rights! If you have a civil matter, such as a dispute over a municipality bill, your case will be heard in the Magistrate's Court. A warrant of execution against immovable property is usually the last resort. It is a long and complicated process. You have the right to defend yourself if you get a summons. 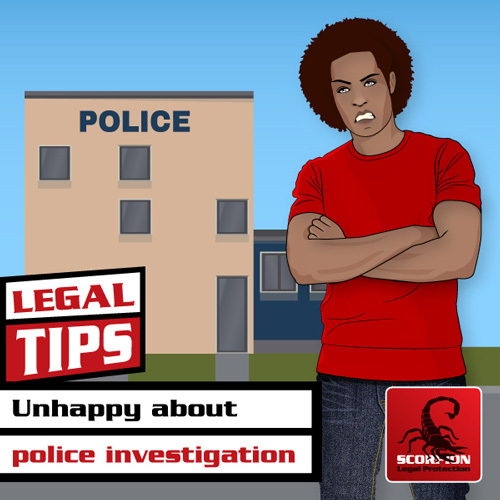 If you have a good reason or defence, you should get legal advice so that you can protect your rights. There are a number of reasons why your life insurance provider can reject a claim. 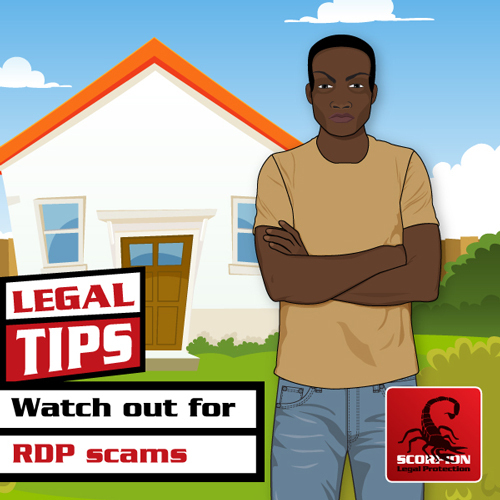 RDP houses – don't get scammed! 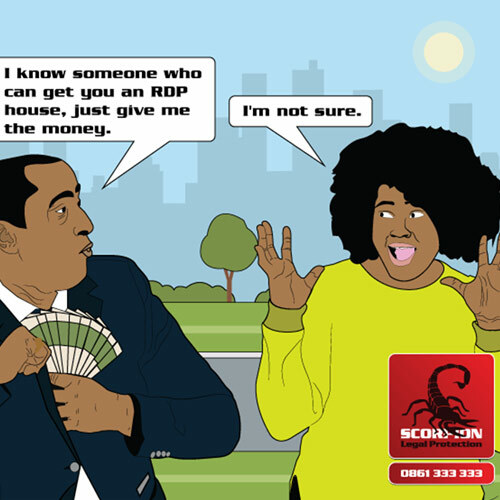 You can't buy a brand-new RDP house or get 'bumped up' the waiting list by paying a fee. They are given to people who qualify for them as part of a government initiative. Paid more just for being a man! After working hard to become senior management in her company, Dikeledi found out that a male colleague (her junior) was earning the same salary as her - for less work and experience. Dikeledi has a Master’s degree and has been working in the industry for more than 10 years. Her colleague only has a Bachelor’s degree and has been in the industry for less than 2 years. Zenobi moved in to a flat she was renting, and shortly after discovered that the roof was leaking every time it rained. 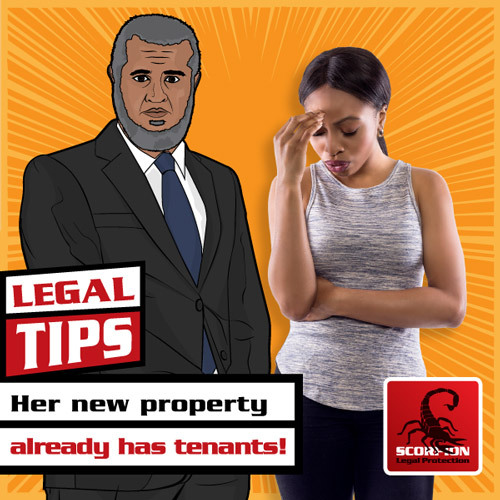 She called her landlord and told him about the problem, as she was worried the leaking water might damage her furniture eventually. The landlord promised to come fix it, but he never did. Zenobi tried calling him and scheduling meetings at his office, but he was avoiding her. Thato works for a construction company. He is a hard worker – never late for work, always doing more than what is expected of him. So when he applied for leave to go to his mother’s funeral, he didn’t think it would be a problem. His 5 days of leave were approved and he thought everything was fine. 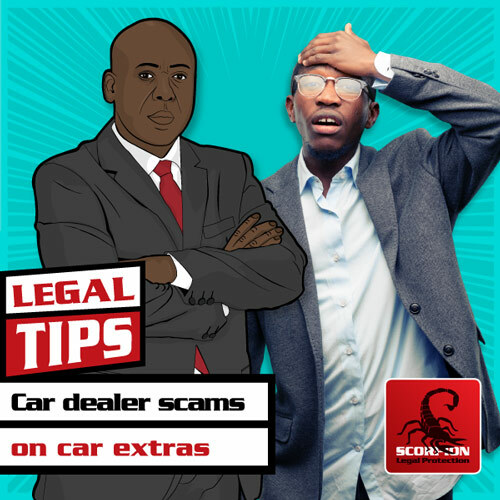 Car shop tries to scam him! Mr Botsime* took his Golf 6 GTi in for repairs at a reputable workshop. The manager told him he would have to pay R14 000 for labour, as well as pay for the parts needed to fix the car. Eish. What could he do, he needed to have his car fixed. Ntombi’s* father passed away in 1996. She lived in her father’s house with her father, her stepmother and the stepmother’s child. When her father died without a will, her stepmother kicked her out of the house. Later, when her stepmother fell ill, one of her grandchildren asked Ntombi to move back into the house and help look after her.